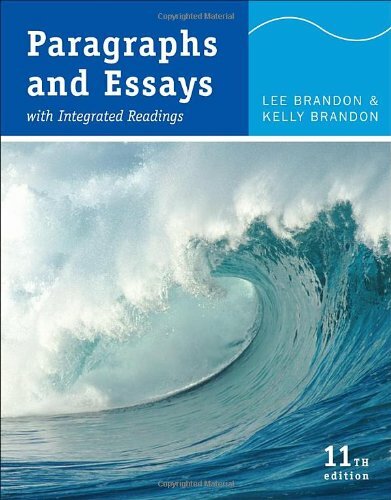 PARAGRAPHS AND ESSAYS is the higher-level companion to SENTENCES, PARAGRAPHS, AND BEYOND. Written in an informal, engaging tone, this easy-to-use text takes students through all the stages of the writing process as they transition from simple to complex writing assignments. Sample student paragraphs and essays with stages exemplify the patterns of writing, while clear reading instruction offers students the opportunity to analyze readings and to practice the reading-based writing required in academic environments. Students master common writing patterns while learning to use textbooks as a springboard for their own writing in the form of summary, reaction, or response. Seventy-one high-interest, distinctive readings are integrated throughout the Eleventh Edition for analysis and as models of good writing. Clear, explicit writing prompts support each reading and focus on reading-based, cross-curricular, career-related, and general topics. In addition, the photo/art program promotes critical thinking, lively discussion, and analytical writing. The text is flexible in its format, allowing instructors to begin at any stage of instruction and to emphasize the paragraph or the essay, or to mix assignments.